Hourglass Resources work with small business owners and individuals offering bookkeeping and tax services in Iroquois and across Dundas, Grenville and Stormont Counties. As founder of Hourglass Resources, I'm dedicated to see each of my clients succeed. I want to make a difference. I want to leave things better than when I found them. I celebrate my clients' triumphs and offer a helping hand during their lows. I help my clients identify and solve both the practical and emotional challenges of making and managing money. I willingly share my knowledge and lead people to a new place of understanding. I work with small business owners who love what they do, and want to outsource managing the numbers side of their business. My unique approach includes not only the "nuts and bolts" aspect of having an accounting system that works for the client, but also being a resource for finding the right people to do the job at hand. Together, we can map out a plan for successful endeavours. Hourglass Resources provides complete bookkeeping and income tax services, including handling all CRA Audits and Requests. As a highly skilled and dedicated bookkeeper, I empower, business owners in their financial matters, removing confusion, fear and uncertainty and replacing them with clarity, freedom and control. Small Office Home Office (SOHO) clients use my targeted bookkeeping to stay informed about their businesses. As an income tax preparer, individuals rely on me to file their income taxes in a timely manner saving them late filing penalties and interest. They know they can count on me to act on their behalf with CRA and handle any inquiries for them. With Efile, my clients can expect their refunds in 14 days. I bill by the job or tasks when completed. You get all of the benefits of outsourcing - no employee tax and benefits issues, no overtime, no sick days - with the loyalty and steadiness of valued associate. I work in a long-term collaborative relationship with you, actively supporting you in reaching your business goals. I assess your needs and work closely with the you to find a system that works best for you. I work around your schedule and provide services when you need them. Samantha Gove has a Business Administration and Computer Systems Diplomas from Clarke College, a Photography Diploma from Algonquin College and an Income Tax Preparation Certificate from H&R Block. "I'm an inquisitive person who likes to know what is going on around me. If I don't have the answer, I try to find it. I pride myself on being able to find pertinent and relevant information. I live to make a positive difference in the lives of my family, friends and clients. I want to live an authentic life; a life that gives more than it takes." 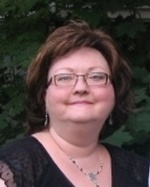 Ms. Gove has provided administrative services to a variety of businesses in South Dundas for 30 years. Her affiliations include La Leche League Canada, the Cook's Corner, O2 Automotive, Lockes' Welding & Rentals, Silver City Metal Works, Hutt Renovations, River Rat Treasures, R. Delorme & Son, Souly Reconnected, Merkley Tire, Mutts Carpentry, Seaway Valley Tourism, Industry Canada, DIAMONDS Conservation Land Trust, Iroquois Marine Services, Youth Services Canada and H&R Block. Lee Gove has a Electronics Technician diploma from St. Lawrence College and is A+ Certified by CompTIA. He recently completed his MSCE Preparation course at Cornwall Career College. Lee has 18 years experience in PC repair and maintenance. When not working at Ross Video, he provides tech support for Hourglass Resources and its clients. While employed at Domtar Papers in Cornwall, Ontario, he was part of the training team for OptiVision (an integrated inventory system). He was crew leader and managed the coating machine. Currently he is studying for his Networking Certification. Consult experienced bookkeeper at Hourglass Resources providing bookkeeping and tax preparation services to small business owners and individuals in Iroquois and across Dundas, Grenville and Stormont Counties.